First the predictable: Zoonotic diseases (illnesses caused when pathogens move across species) have been on the rise for years, largely related to an increasingly interrelated global environment. We reported on this phenomenon in a story last year on the One Health Initiative, a collaboration of physicians, veterinarians and public health experts. A report released by the organization last summer found that of the roughly 1,500 diseases recognized in humans, about 60 percent are due to pathogens that move across species, creating an increasingly worrisome world health situation. The authors weren&apos;t far off the mark. New reports are tying today&apos;s swine flu virus to the 1918 influenza pandemic that infected a third of the world&apos;s population and killed an estimated 50 million people. 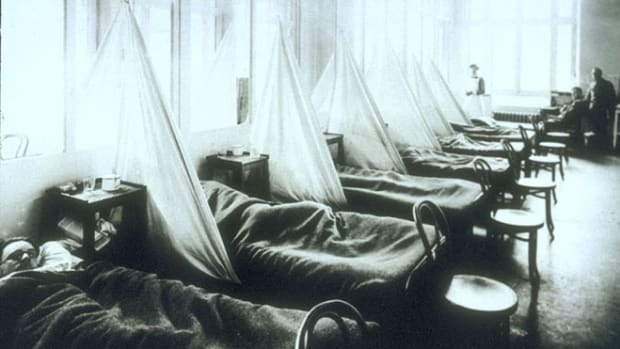 A paper published in the May 2009 Journal of Virology links the 1918 flu virus — often called the Spanish flu — to the current lineage of H1N1 swine flu. Other factors seem to link it as well, including its appearance in the spring, its ability to spread rapidly and the fact that most victims to date have been relatively young adults. The average age of those who have contracted the disease in this country is 22. However, other scientists claim to have identified several differences — "certain characteristics, molecular signatures" — between the current virus and its 1918 predecessor. One of them, Ralph Tripp, an influenza expert at the University of Georgia, contends that an early analysis of the virus&apos; protein-making ability suggests that people exposed to the 1957 flu pandemic — which killed an estimated 2 million people worldwide — may have some immunity to the new strain, hence the susceptibility of young people to today&apos;s virus. Now for the surprising: Although the virus is formed from swine, bird and human genes, pigs infected with it typically exhibit only a mild cough and rarely die. Mexican officials apparently have found no infected pigs in their country to date. Don&apos;t forget to take the survey on swine flu and risk perception being conducted in real-time by Stanford researchers. For more details, click here (http://www.psmag.com/health/taking-the-temperature-of-swine-flu-fears-1185).